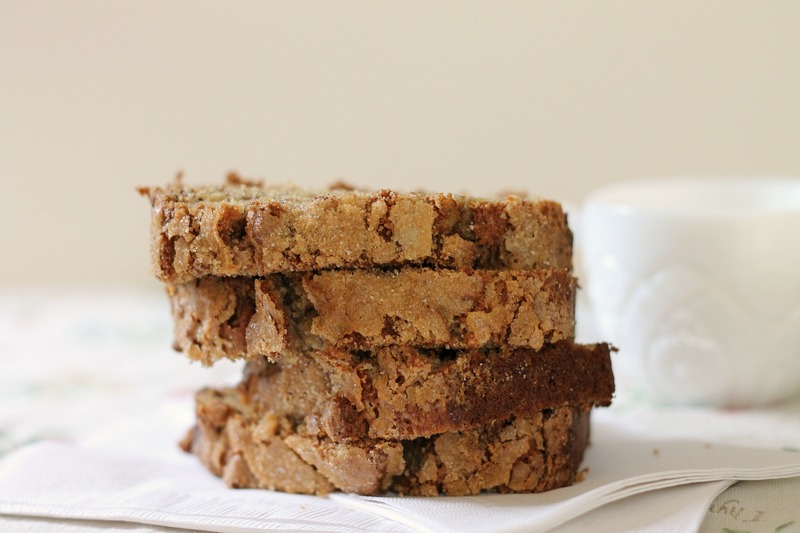 I (Leah) am obsessed with banana bread- I could eat it every day. Plain, with nuts, with chocolate chips- as long as it’s banana bread, I like it. Celine doesn’t always love banana bread because she doesn’t really like bananas, but even she loves this banana bread. 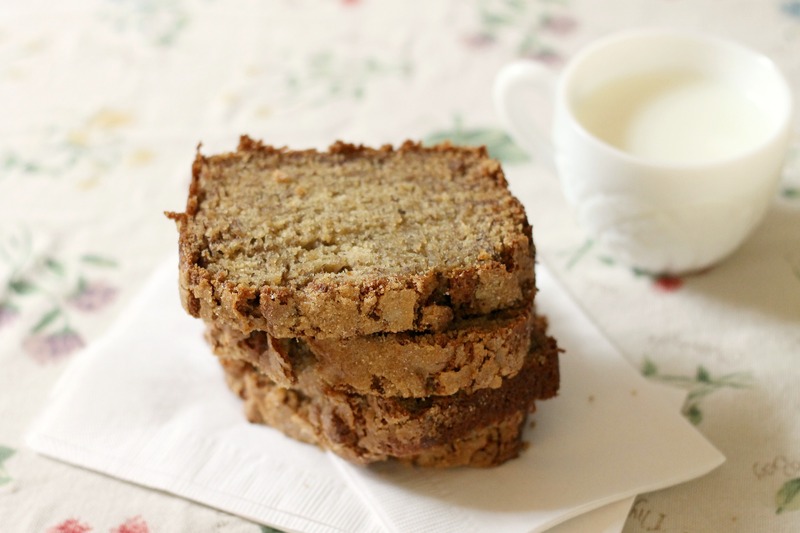 It is the perfect basic banana bread because it is delicious on its own but would also be great with chocolate chips, pecans, or walnuts in it. It definitely takes longer to make, as the bananas have to be microwaved and drained before mashing them and adding them to the loaf. However, this bread is definitely worth the extra effort because it has lots of banana flavor. As long there are enough bananas in the house (5 for the bread, and a 6th to slice on top if you want), I will use this recipe. Adjust an oven rack to the middle position and heat the oven to 350 degrees. Spray an 8½ by 4½-inch loaf pan with non-stick cooking spray. Whisk the flour, baking soda, and salt together in a large bowl. Place 5 bananas in a microwave-safe bowl; cover with plastic wrap and cut several steam vents in the plastic with a paring knife. Microwave on high power until the bananas are soft and have released liquid, about 5 minutes. Transfer the bananas to a fine-mesh strainer placed over a medium bowl and allow to drain, stirring occasionally, for 15 minutes (you should have ½ to ¾ cups liquid). Transfer the liquid to a medium saucepan and cook over medium-high heat until it’s reduced to ¼ cup, about 5 minutes. Remove the pan from the heat, stir the reduced liquid into the bananas, and mash with a potato masher until fairly smooth. Whisk in the butter, eggs, brown sugar, and vanilla. Pour the banana mixture into the flour mixture and stir until just combined with some streaks of flour remaining. Gently fold in the walnuts, if using. Scrape the batter into the prepared pan. If you like, slice the remaining banana diagonally into ¼-inch-thick slices. Shingle the banana slices on top of both sides of the loaf, leaving a 1½-inch-wide space down the center to ensure an even rise. Sprinkle the granulated sugar evenly over loaf. Bake until a toothpick inserted in the center of the loaf comes out clean, 55 to 75 minutes. Cool the bread in the pan on a wire rack for 15 minutes, then remove the loaf from the pan and continue to cool on a wire rack. Serve warm or at room temperature. Enjoy!